PALEO & GEO TOPICS: Comments by R. L. Squires: What's in a name? What’s in a name? That question is extremely important in the world of paleontology. The principle of scientific naming started with the binominal system of nomenclature established by Carl Linnaeus in 1758. For a species to be officially recognized, it must be given a latinized generic name and specific name (e.g., Turritella andersoni Dickerson, 1916). Note that these names must be italicized. The genus name is always capitalized, whereas the species name is not (this rule is internationally recognized although magazine and newspaper articles commonly do not follow it). The genus name can be abbreviated to a single letter (e.g., T. andersoni Dickerson, 1916), whenever the full name has already been mentioned, so that the reader is aware of the genus name. Carl Linnaeus, also known as Carl von Linné (1707–1778), a Swedish naturalist. Image modified from Wikipedia (2018). The whole concept of naming involves taxonomy and systematics, which are basically synonymous. Taxonomy (or systematics) consists of two distinct components: Nomenclature, which deals with the purely legalistic aspect of names, and classification, which deals with the ranking or grouping of various categories of names (e.g., order, superfamily, family, genus, species). In modern times, DNA studies have revolutionized classification schemes. 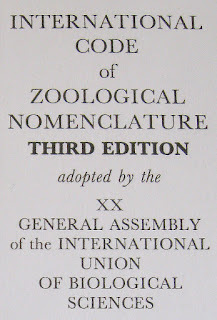 The rules of nomenclature of genus and species names are given in the “International Code of Zoological Nomenclature” (ICZN). It provides widely detailed information about accepted procedures dealing with how names should be correctly established, which name must be used in case of name conflicts, and how scientific literature must cite names. 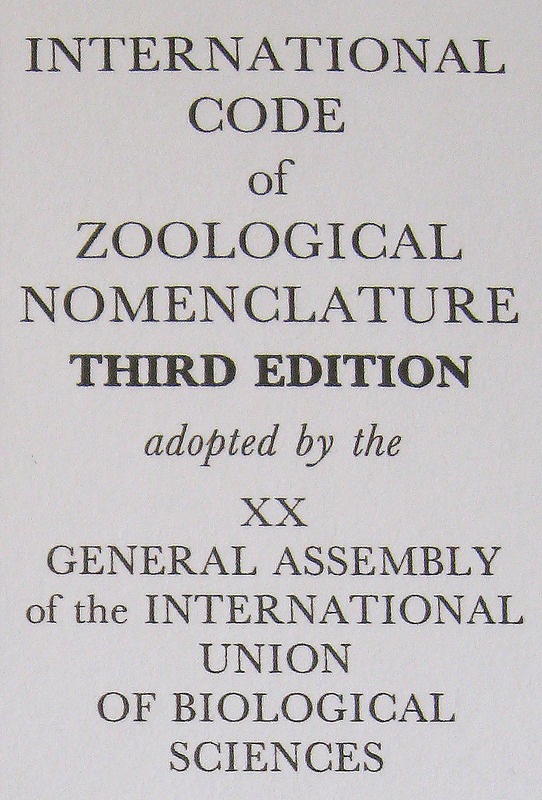 The first edition of the Code was published in 1961. The present edition (4th) was published in 2000. A pdf of the Code is available online. Title page of the ICZN.